The rapid, dynamic adaptation and coordination of Radio Access Networks (RAN) will require more accurate synchronization from one generation to the next. VIAVI Solutions’ Timing Extension Module (TEM) helps network operators maintain precise synchronization which results in an excellent Customer Experience. 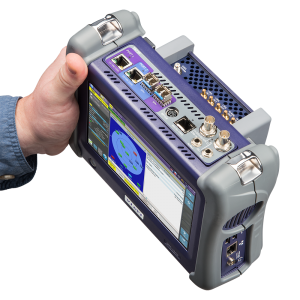 Together with the MTS-5800, the field-optimized TEM delivers industry-leading accuracy to field portable timing and synchronization measurements. It features a modern 72 channel GNSS antenna input and an extremely accurate Rubidium based miniature atomic clock (MAC) to ensure nanosecond-precise measurements even when a satellite signal is not present and the module is running in holdover.